Would you want to buy two pairs of the same shoes, or would you want to buy two different unique pairs? My guess is you’ll probably go for two different pairs of shoes. This being the case, why would you want to look/be the same as someone else?! There’s something magical about individuality and well, trying to mimic someone else is well… Boring! There’s absolutely nothing wrong with admiring someone’s aesthetic, or getting makeup inspo from an influencer…but it’s another thing to try and be them. So here are some tips for when you find you comparing yourself to other people on social media. 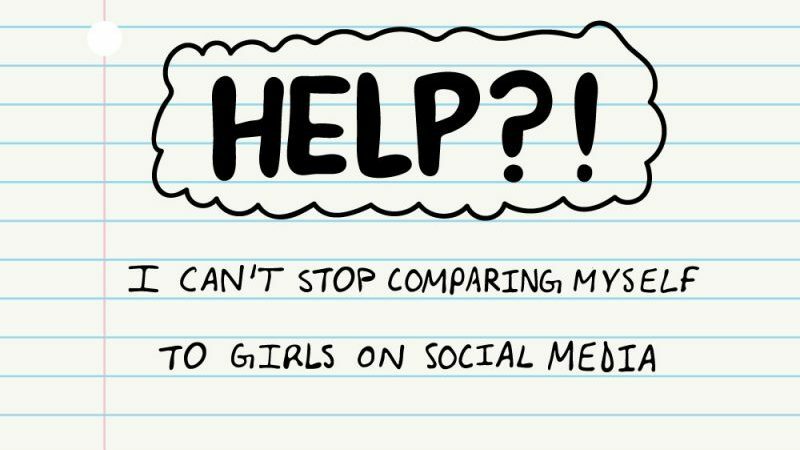 Unfollow triggering accounts; This is one of the most successful ways to stop comparing yourself from other girls on social media. You stop seeing the person/account from coming so much on your feed and you can focus on other things…. Like math homework! Follow body positive/influencers with natural beauty; It’s so refreshing to see someone owning who they are! Follow accounts that focus on body positivity and looking good without all that facetune! Remember that looking good is their job; a reminder, influencers get paid to stay in tip-top shape and look good at all times. Everything is always going to look much better through the lens than in reality… so just keep this in mind! Compare yourself to YOU; redirect that energy back onto you! If you spend half the time working on yourself than someone else, you will reap the benefits! Instead of wishing you had @fatherkels cheekbones or @sahara_ray’s body. Spend time working on treating your body with love and having acceptance for who you are. Wanting to get more in shape? Make a healthy fitness routine and make sure to follow a balanced diet. Wish you were as happy as people appear in social media? Work on unconditional love and spend more time with peeps you love! So no more wasting time comparing yourself to anyone else! You’re a gem! I Am Trying To Figure Out My Personal Style. How Will I Figure It Out? My Friend Group Is Drifting Away From Me. Why Is This?